It says it in the name... Your feet will be happy! 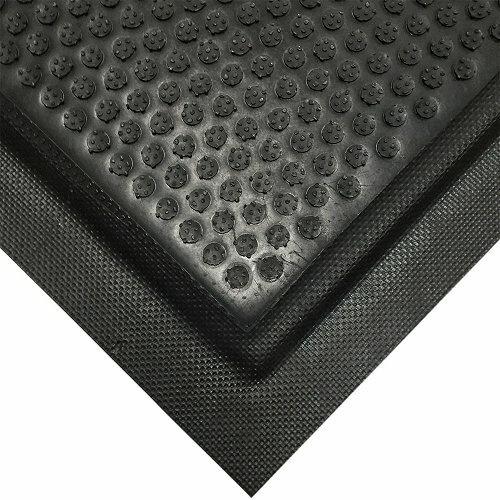 A perfect mat for wet or dry areas the Happy Feet Mat comes in standard sizes as this mat is created to enclose thick rubber cushioning inside an outer layer of nitrile rubber this protects against degradation. The rough surface also cleans the shoes as you walk but it this is not what you are looking for check out its sister Happy Feet Texture Top. 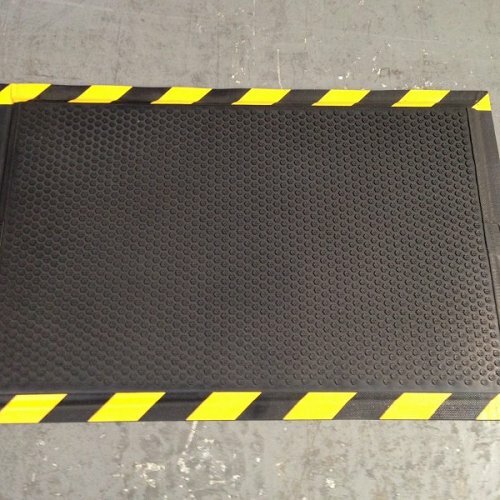 Happy Feet mats are chemical resistant, animal fat resistant and petroleum product resistant. 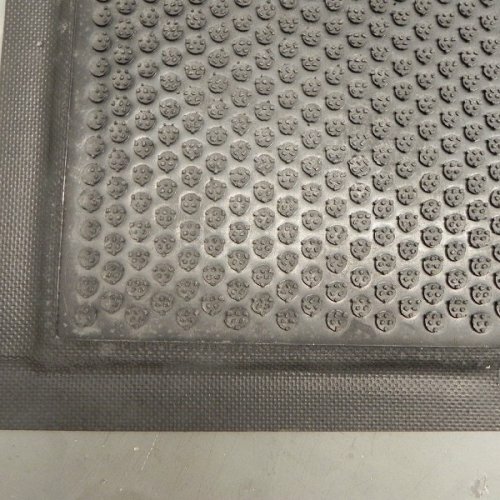 These mats are one of our better wearing mats with a 3 year conditional warranty!